“Smoking-Hookah com. ” when of the very first establish online hookah site products store has come out with even more¬† beautifuuly made and original idea narghilahs! The is the double decker soccor ball hookah” The bottom is shaped large exactly in the¬† form of the official soccer (football) sed in all big World leagues! On top of the ball is a smaller purble colored soccer ball that glows in the dark! This can be a present to almost any teenager who would appreciate the sort that he loves to play, and follow, as well as to inspire him and raise him to the exhalted feeling of his winning football team. 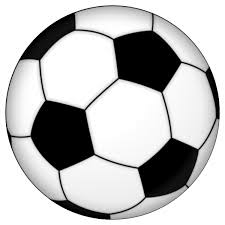 NOW, check out Smoking-Hookah.com’s site page at the bleow link, to experience the beauty of this¬† football-soccer ball. Want an idea of its actual hight? Just check out¬† the very large white clay bowl for the shisha tobacco! This shows¬† you prportionally that the “Football-Soccer Hookah” is quite high in built in realistic terms. The small purple ball on time lights up, and they have long lasting re-changable batteries to go with it.